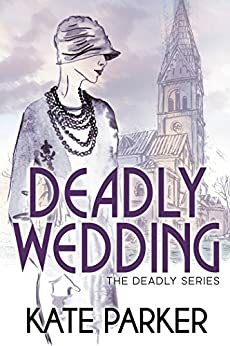 Deadly Wedding (The Deadly Series Book 2) - Kindle edition by Kate Parker. Mystery, Thriller & Suspense Kindle eBooks @ Amazon.com. Kate Parker’s Deadly Wedding continues the adventures of Olivia Denis, begun in Deadly Scandal. Set in London in the late 1930s, the series combines mystery with a touch of cloak and dagger adventure. When Olivia agrees to help out with the wedding of a distant cousin, she doesn’t expect to find herself investigating another murder. And two attempts and another murder. As Olivia probes the family’s secrets, she has more and more reason to be glad that these people, with whom she spent much of her childhood, are only distant relations. Along the way she learns things she never knew about her father (they’re working together to investigate the murders, but Sir Ronald still doesn’t want to acknowledge Olivia’s job as a journalist), she sees some terrible sights on a trip to Vienna shortly after the Nazis move in, and the coming war colors everyone’s future. Olivia is a determined, independent woman, surrounded by a range of interesting characters, and her instincts for mystery solving are strong. I hope we’ll be seeing more of her Deadly adventures. 5.0 out of 5 starsWrite faster, Ms. Parker!! When I purchased this book, I thought I'd already read Deadly Scandal, but after I started Deadly Wedding, I realized I had read only a sample of the first book. Now I've downloaded Deadly Scandal so I can catch up with the start of this series. I LOVED Deadly Wedding. It has all of the things I like in a cozy: British setting, family intrigue, a mystery with a little twist, a strong female protagonist, a little romance, and a historic setting. Normally pre-WWII is not my favorite time setting, but I enjoyed the intrigue in this plot. Actually, there is a subplot to the main plot in this book. My only disappointment is that the third/next entry in this series is not yet available. 5.0 out of 5 starsBook two of what I hope will be a series. The first book was a barn burner with the heroine having to withstand the story that her young husband had committed suicide. Long before the end, she's been to Nazi Berlin and has found a spy in the foreign office. When this book begins, she is faced with another murder, this one in the family she has grown up with, a noble British family. This book is as exciting as the first. If you like British mystery, you're in for a treat. 5.0 out of 5 starsReally enjoy this series. Really enjoy this series. It has a darker touch to it than the Victorian Bookshop one by the same author. Our favorite widow is still working at the paper as a society reporter and a sometimes courier helping Jews evading Nazi for her old school friend's father. She is also helping out with her sort of cousin's wedding. When the old earl is murdered just before the wedding, she is tasked to help keep family secrets secret and that no family member unfairly gets the blame. This time her dad is reluctantly enlisted to help as well. Didn't really put together the bad guy in this one partially because like Mrs Denis I didn't want to. I’m so glad I found this series. It has puzzling plots, terrific characters and everything I love in a great mystery. Pre WW11, spies, Nazis, handsome hero, beautiful, smart, clever heroine and all the atmosphere you could imagine in London and English countryside. I can’t wait to read the next one....Deadly Fashion. I hope Ms Parker has another one in the wings because it will be difficult waiting on the next Deadly book! 5.0 out of 5 starsLovely page turner! I enjoyed this one very much! Livvy has really come into her own and isn't the demure little wife who suddenly becomes a widow at 25 and needs to have so much help to maneuver about in a man's world, in this book while she still has her trusty heroes who pull her fat out of the fire (even some unconventional heroes) Livvy manages to make her own way in some dangerous territory. Something you wouldn't have really seen the girl in the first book do. Nice character growth. She's far from GI Jane but she just has more confidence in this one. The only thing I didn't really like was the rather abrupt ending. Might as well have put see ya later bye! This is book two in the series and is as good as it's predecessor. This time we had murder, poisoning and a wedding. Everyone has a motive and Olivia is tasked to find out who did it the only problem is that the suspects are related to her. Her assignment for her boss takes her into dangerous Nazi Austria and a meeting again with a friend or possibly an enemy she can't quite figure out yet. On to book three. I love this series ! I have always been fascinated with the pre war years and women's evolving history through my passion for vintage fashion and costume jewelry. Olivia is a complex character who continually surprises me with her persistence to be independent and use her capabilities in difficult times. 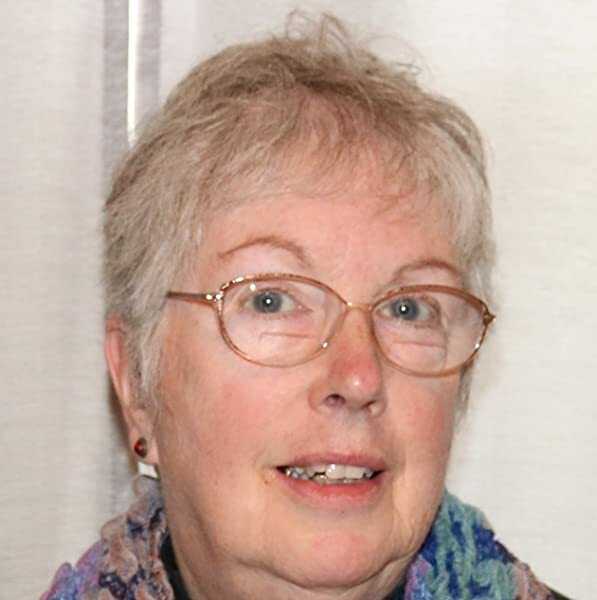 The author has created a wonderful wealth of characters and helps us remember the fear and panic in those pre war days. Sometimes it feels like the present. Look forward to the next book.